We decided to jump a few steps up the Yokohama performance ladder to the Yokohama S.drive, which had impressed us in our February 2008 Plus-Size Tire Test and again in our August 2008 Budget Tire Test. 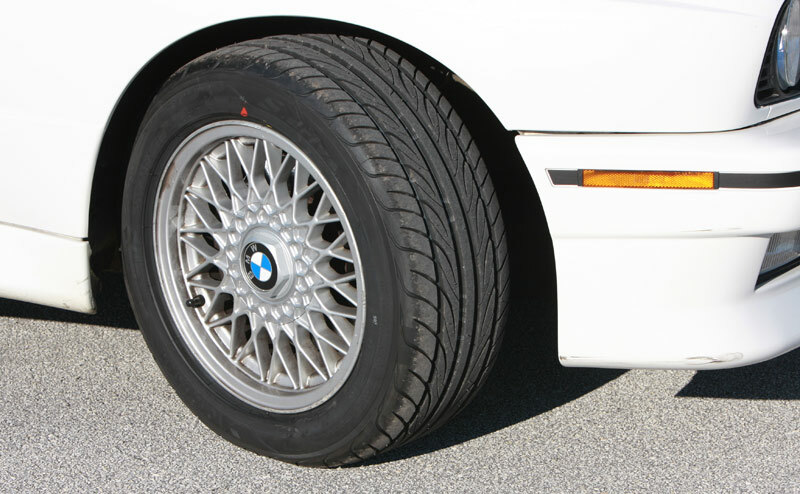 There was nothing particularly wrong with the all-season Yokohama AVID Touring tires that came on our E30-chassis BMW. For a performance-oriented BMW that lives in Florida and sees occasional track use, however, we thought there might be some better choices. After all, you wouldn’t wear galoshes to go for a run; our M3 needed some proper gym shoes. On the old Touring tires, the M3 was a blast. Thanks to the comparatively lower grip of the all-season tires, it was hard not to fling the car into a corner and establish a nice, sliding drift. With our baseline established, it was time to change shoes. Off came the 195/60R15 Touring tires and on went the 205/55R15 Yokohama S.drives ($89 each from The Tire Rack). Shod in the new tires, the BMW was much less prone to absurd slip angles. The car turned in more crisply, and we were seeing consistently higher revs. 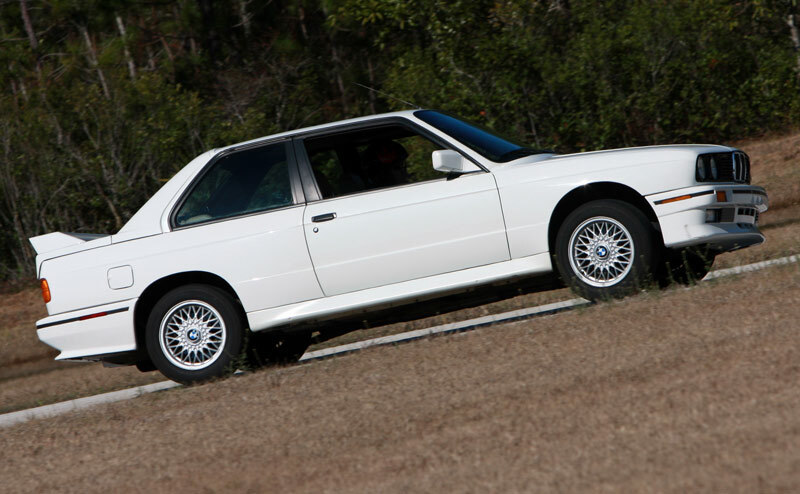 Even better, the BMW was a pleasure to drive home from our test site in Gainesville. The S.drives were quiet and tracked beautifully on the highway. Who doesn’t like wearing their sneakers everywhere?